It’s that time again! If you were thinking about trying a batch of Gewurztraminer or Gamay Bergamais, you’re in luck – they’re our wines of the month! 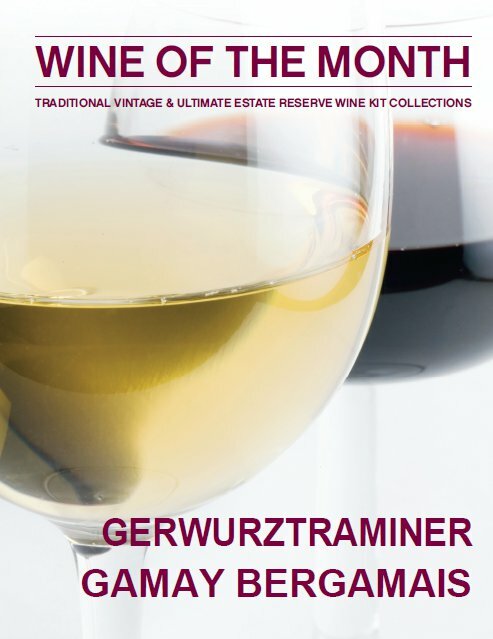 Until August 31st 2011, enjoy 10% off our Traditional and Ultimate Gewurztraminer (white) and Gamay Bergamais (red) wine kits. Our Californian Gewurztraminer is exotic, spicy, and exciting, with flavours of grapefruit and mango, and aromas of roses and honeysuckle. It is dry, with a distinct, refreshing aroma, spicy and nutty flavours and a clean, balanced finish. Crisp and satisfying.